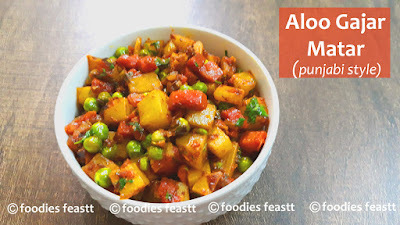 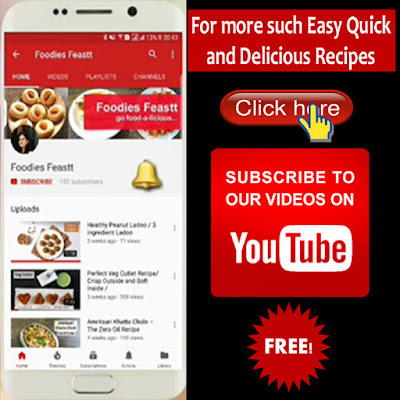 Aloo Gajar Matar / Punjabi Recipe/ Finger Licking Aloo Gajar Matar with step by step images and recipe video. 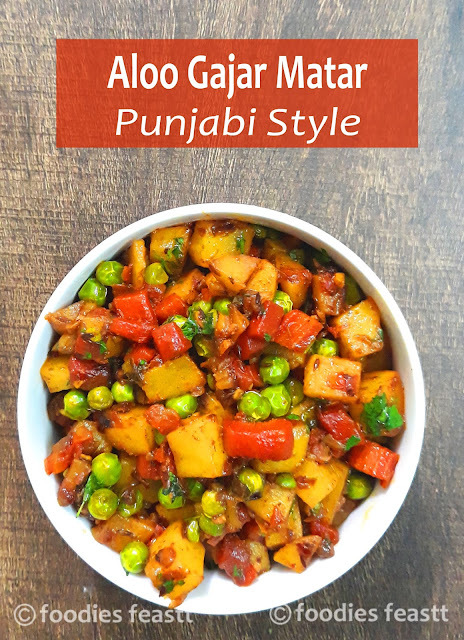 The winter special veggies carrot and peas are cooked along with potato in sauted onions, tomato spiced up with the traditional Punjabi masalas which make it a perfect dry side dish. Aloo gajar matar is a very commonly made in almost all Punjabi families during winter. 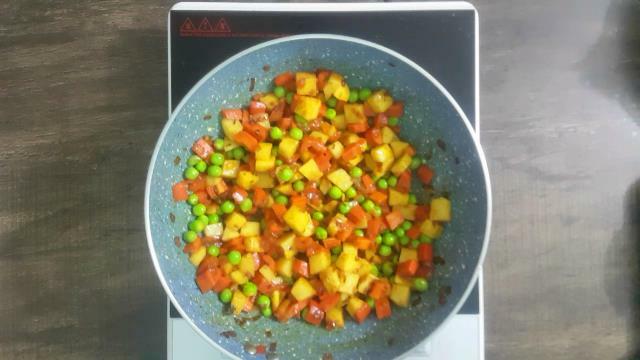 As then we get the fresh tender juicy carrots along with the green peas. 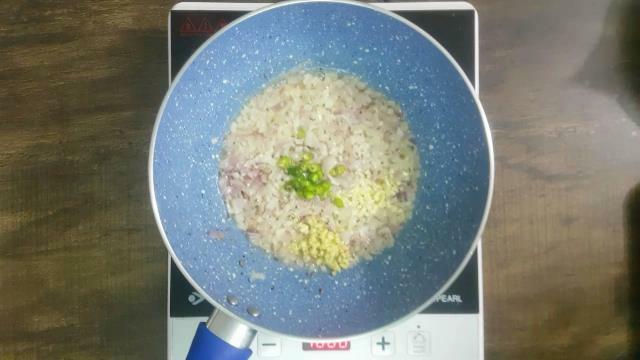 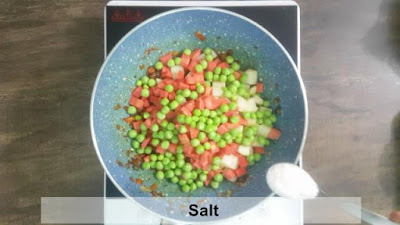 It’s a pan recipe, however, it can also be made in cooker with the same steps just then after stir frying the veggies for a minute on high give it 2 whistles on low flame and let it depressurize on its own. 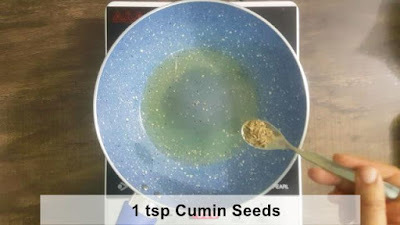 Add in 1 tsp Cumin seeds. 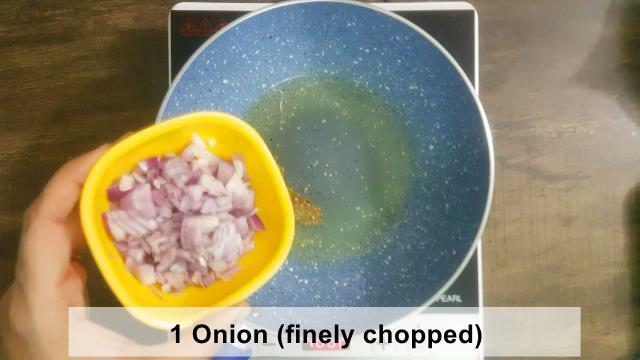 When the cumin seeds starts releasing aroma put in 1 onion finely chopped. 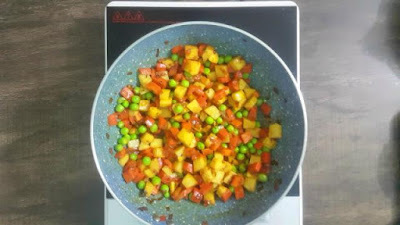 Saute till translucent. 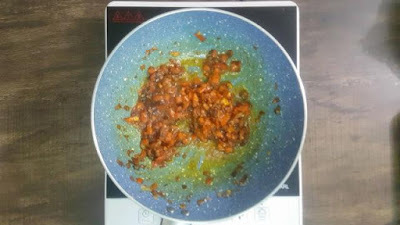 Further include the chopped 1 tsp ginger, 1 tsp garlic, 1 green chilli and continue frying on low to medium heat till it turns brown. 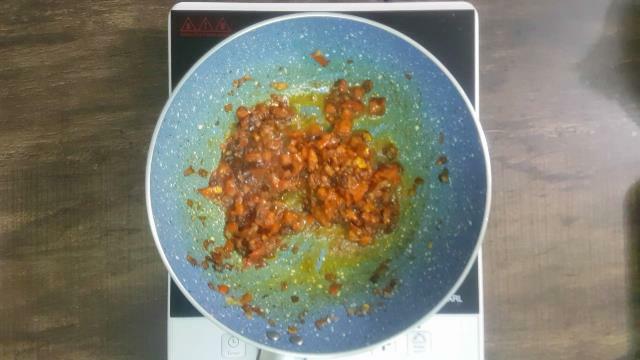 Further add in the 1 tsp Garam masala powder and ½ tsp red chilli powder. Mix well and stir fry for a minute on low heat. 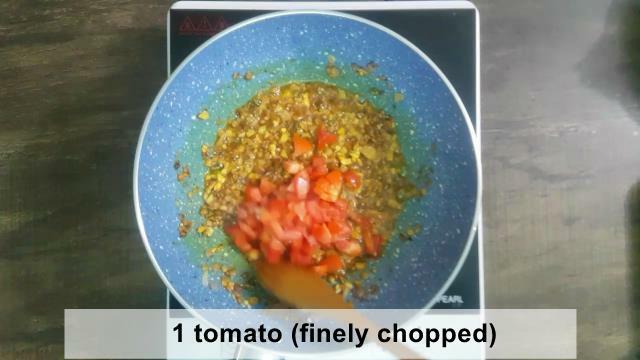 Now put in 1 tomato finely chopped and cook till it turns soft. 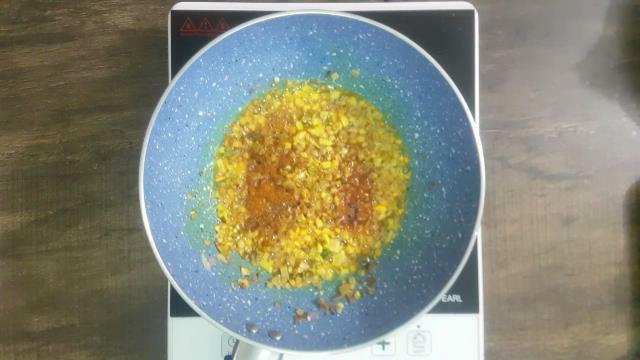 Stir fry on high for about 2 minutes. 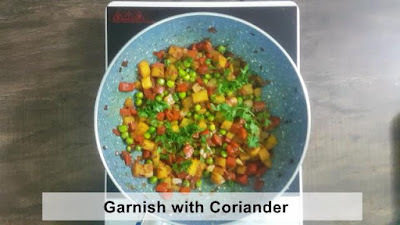 This is done because when we will cook it covered the veggies won’t turn mushy. 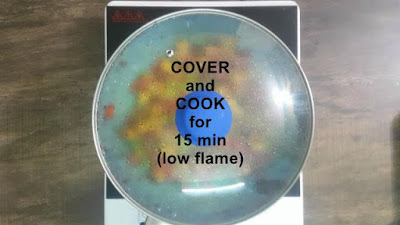 Next step is to cover the pan and cook for about 15 minutes or until cooked. 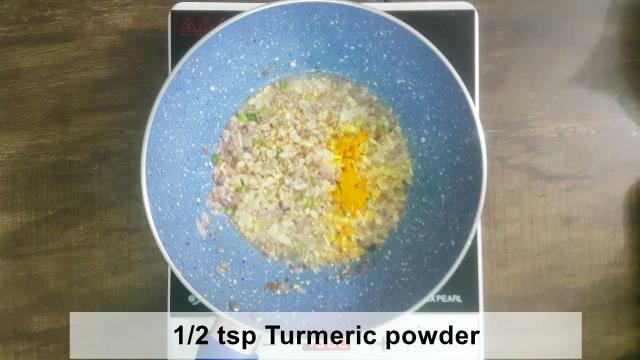 Keep on stirring at regular intervals. 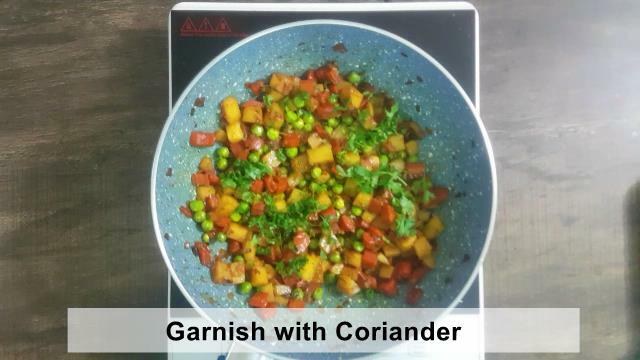 When the veggies are completely cooked garnish it with chopped coriander. It can also be made in cooker. After stir frying the veggies cook till two whistles. This recipe is medium spicy you can add in more green chillies and red chilli powder to make it Spicer.